Every geographic area has unique challenges that come to homeowners, whether it be extreme weather or regular wear and tear. At Huff ‘N Puff, we’ve worked in the Washington County New York area for over 40 years, and we understand the things that homeowners deal with. We’ve served over 35,000 customers and improved homes all over the area. Our goal is to improve your home owning experience with new windows, updated doors and replacement gutters. Owning a home requires effort on your part, and we do our best to minimize that effort while still saving you time and money. 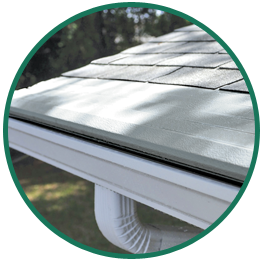 New heated gutters, windows and doors can all help your home become more energy efficient, more secure and safer. You can rest easy knowing your home can handle anything that comes your way when you choose Huff ‘N Puff for any of the following services. We are a teamwork-minded company that is focused on the customer first. We aren’t done with the job until you are happy with it. We put integrity first and value professionalism and excellence in all we do. We are always polite and courteous when working with you and we’ll treat your home as if it were our own. Our technicians are all trained and certified to install our products to protect your warranty. We are proud of the work we do and the reputation we’ve earned over the years. Our customers come back to us again and again because they know they can trust us with their homes. If you want a safer, more efficient, secure home, call Huff ‘N Puff today for a quote. We stand behind our products, services and our customers with every single job, no matter how big or small. Fill out our online contact form or call us at (855) 483-3678 to learn more.